Inside: Get pumped up for the Christmas season investigating chemistry and physics with a festive twist. These Christmas science experiments are sure to please. Christmas science experiments are a fantastic way to get pumped up for this season investigating chemistry and physics with a festive twist. Science is all about asking questions and finding ways to figure out the answers. Experimentation is key to investigating the world around us. Every season has its unique science and by golly it is possible to find science in Christmas. Christmas is a great time to get kids excited about science. Classrooms are dealing with super excited kids. What better way to regain control and focus than by capitalizing on the Christmas season. 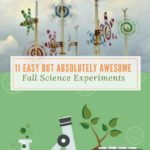 For homeschooling families, there is a great wealth of interesting experiments geared to the holiday. Hot chocolate science explores the effect of temperature on the dissolving of solids. Using principles of chemistry have fun creating bubbling glass ornaments that your kids can add to their Christmas tree. This activity also would make a great gift for parents created in the classroom. Santa’s sleigh, Christmas trees, candy canes, elf on a shelf, Christmas cards and ornaments can all be given a science twist for the holidays. 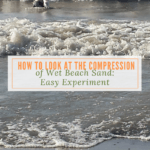 Create some STEM challenges at homeschool or in the classroom. Have the kids use their engineering, planning and design skills to use green cups to create the tallest Christmas tree or to design Santa’s sleigh to carry 25 pounds of presents. Create an elf parachute or a shelf for your elf. How about organizing a Christmas STEM olympics. What a fabulous way to capitalize on the Christmas excitement in a positive, science-structured way. The physics of electricity can be explored by making light up Christmas cards. This activity would make another great in-class gift creation for kids to make for parents or other family members. There is a wealth of chemistry that can be given a Christmas twist. Dancing jingle bells, glitter eruptions and peppermint oobleck will provide hours of fascinating learning fun in the classroom or home school. And better yet, your overly excited kids will have a cool, Christmas focus helping to keep your sanity as a classroom teacher or parent. Cold temperatures can create some unusual frosty conditions. And there’s an experiment in this collection creating Santa’s frozen hand. Try one or try them all. 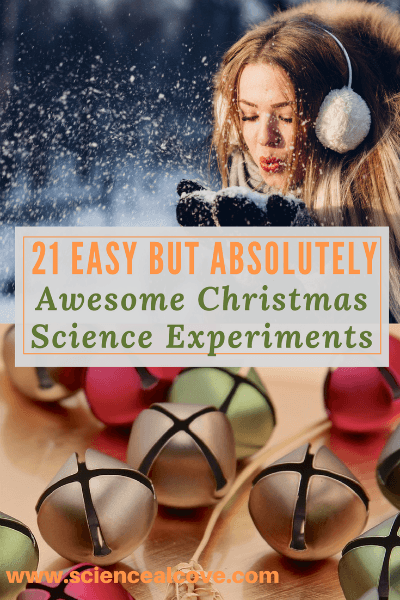 All of the Christmas science experiments in this collection are sure to please the very young and older students alike. 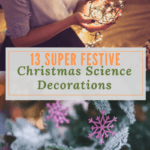 Get kids excited in science by capitalizing on the festive season of Christmas. 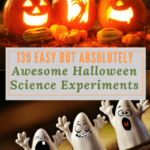 Be sure to check out these easy experiments for other times of the year!